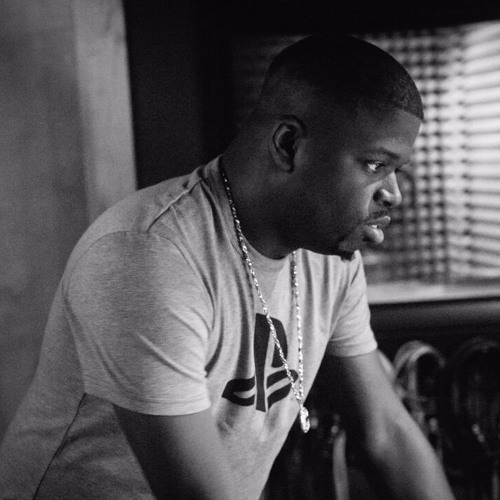 Born and raised in Youngstown, Ohio, HipKnoTiC - born Robert Simpson - is a Hip-Hop artist whose music is guided by the trials, tribulations, and triumphs which have landed him where he is today. Now living in Cleveland, the thirty-something-year-old rapper blends introspective reflection with self-deprecating humor to cultivate a relatable, entertaining style that sets him apart from others in his class. Heavily influenced by A Tribe Called Quest, Pharoahe Monch, Green Day and Eminem, he credits the late Phife Dawg as a source of great influence, citing his extra confidence and witty punchlines as qualities present in his own work. Creating what he coins “Underground Boom-Bap Soul,” HipKnoTiC is gearing up for the release of his first album, which he titled Finally as a tongue-in-cheek nod to his relatively “late” entry into the game. As he tells it, a career in music was his dream since he began writing in 1994, but around 2007 he became disenchanted “when Soulja Boy was popping, and everything had to have a dance. Frustrated by repeated failed attempts to break into the music industry, he decided to walk away entirely and put his love for music on the back burner. However, his first love found her way back into his life in 2013, and he is planning for an August 2017 debut. Lead single “Finding Peace” finds the emergent talent grappling with past turmoil, including the pain of being told he’s “not Black enough,” a bout with depression, and a failed suicide attempt. But it’s also a celebration of his finding the light at the end of the tunnel. In addition to his forthcoming 11-track debut project, HipKnoTiC is an active member of the burgeoning online collective Cypher Circuit, an organization boasting more than 20,000 members which aims to connect, uplift, and showcase the talents of MCs and producers passionate about Hip-Hop.